Give Me your worries and stop carrying them with you everywhere you go. Can’t you see they are pulling you down? That heavy load you’ve been carrying is not only destroying your joy; it’s also destroying the joy of others around you. The weight and the pressure of the load will cause you to stumble and fall if you don’t give them to Me. When you gave your life to Me, I provided a way for you to never have to be a carrier for worry again. When I told you that I had provided a more excellent way for you; you believed Me and took Me at My word. Somehow, as time passed by, you forgot about My promises and slowly started taking your worries and burdens back from Me. Now, you’re carrying a heavy load again. Cast your cares upon Me and allow Me to lighten your load. 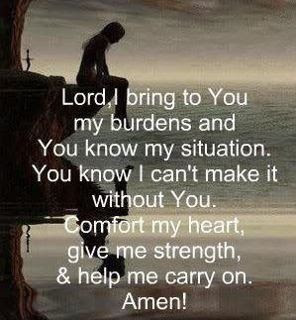 It’s time to renew your vows and release your burdens to Me. It’s time to take every thought captive and surrender everything to Me. Put your mind on Me and allow Me to bring to your remembrance of how you overcame these circumstances in the past. Spend some time reflecting on how wonderful it felt when you overcame your worries by the word of your testimony. Ah, now, doesn’t that feel so much better? My child, lay your burdens down, lay them down. You have done it before, you can do it again. Surrender them all to Me. Give Me the battle. We were victorious before, and we will be victorious again. All you have to do is believe in your heart that this too shall pass, and it will. Believe it not just today; believe it every day. Now, give Me your cares, and be at peace. Stand straight and walk in love and joy once more. 1 Pe. 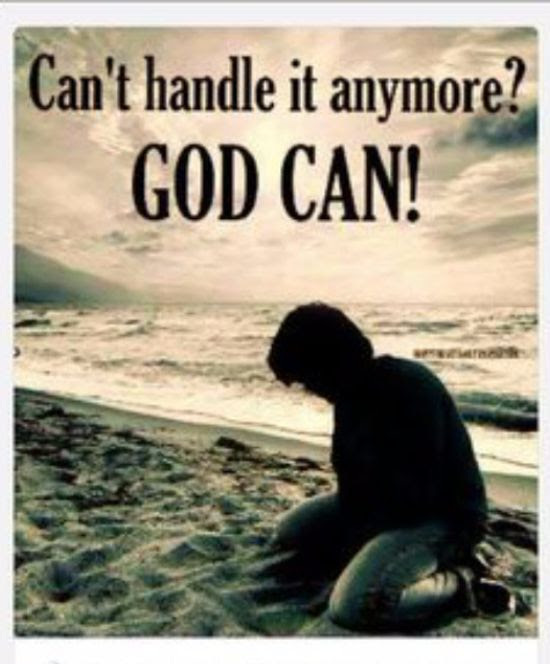 5:7 Casting all your care upon him; for he careth for you.